With the File Bulk Zip feature you can easily & quickly zip, download and send multiple documents in one-shot. 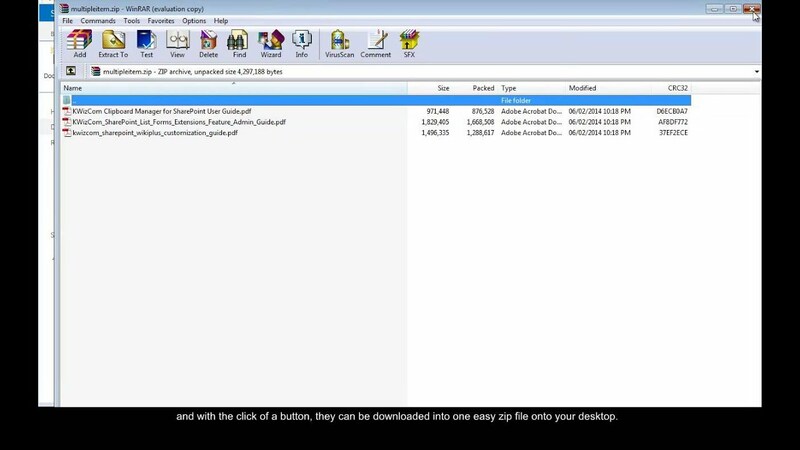 KWizCom’s File Bulk Zip feature enhances your productivity while working with documents. Bulk file operations, that SharePoint does not provide, are now available, allowin you to work much faster! KWizCom’s File Bulk Zip feature is mostly needed in SharePoint document management solutions, increasing the speed of most commonly needed file operations, which are missing in SharePoint. Scan, OCR & upload documents to SharePoint the easy way!